Sheffield Wednesday have approved the sale of the club to Milan Mandaric's UK Football Investments for £1. The takeover was formally agreed at an extraordinary general meeting of shareholders at Hillsborough. 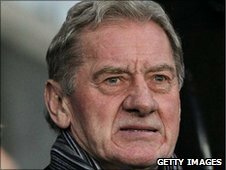 Mandaric settled the club's debt with a £7m payment to the Co-operative Bank, who were owed £23m. Mandaric, 72, who stood down as Leicester City chairman last month, has negotiated terms to wipe out Wednesday's £30m debts. In a statement the Serbian-born businessman said: "I am grateful to the shareholders of Sheffield Wednesday for showing their faith in me. "I will do everything in my power to restore Sheffield Wednesday to the top table of English football. "I know what this club can achieve and it is an honour to be given the chance to take one of the oldest names in the game and work to make it great again." Mandaric agreed the settlement with Co-operative Bank and five directors in November. The club's loan-note holders have agreed to receive significantly reduced payments than they are owed, but will receive a full repayment if Wednesday are ever promoted back to the Premier League. In addition, directors Kenneth Cooke, Robert Grierson and Geoffrey Hulley have resigned. The new board is made up of Mandaric, as chairman, and directors Nick Parker and Howard Wilkinson. Wilkinson told the club website: "I am delighted to hand over the stewardship of this fantastic club to Milan Mandaric. "When Sheffield Wednesday needed someone to step up and deliver - Milan was that man. "Our club was on the brink of administration a few weeks back, but now we can look forward to an exciting period both off and on the pitch." Just got back from the EGM. Mr Mandaric was voted in unanimously - I didn't see one person raise a hand against the proposal. Here's to a bright future for our club. The Owls' severe financial troubles were laid bare at a winding-up hearing at the High Court on 17 November. The club were given 28 days to settle an unpaid tax bill that had risen to £1.4m, with Deputy Prime Minister Nick Clegg and former Home Secretary David Blunkett vowing to help the survival bid. 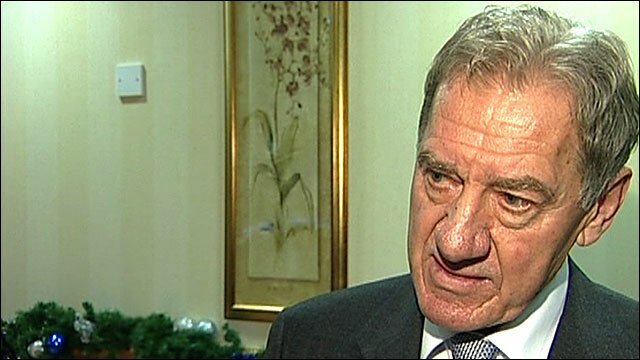 Former Portsmouth owner Mandaric had faced competition from other groups, including One Wednesday - a collaboration between Sheffield car dealership owner Garry Scotting and fans' groups. Their group attempted to raise funds from a small group of wealthy fans, complemented by smaller contributions from other supporters. In 24 hours, the group received over £120,000 in pledges from supporters, and spokesman Kris Wigfield said they were plan B if the Mandaric deal fell through. But, along with another consortium led by former Owls vice-chairman Mick Wright and director Ken Cooke, their bid was ultimately rejected.